Workers in the crucial export industry had rejected the first wage hike since 2013 as insufficient, saying it would only benefit those in grade seven - the lowest grade jobs - in the latest challenge to Prime Minister Sheikh Hasina (Photo: Mamunur Rashid/NurPhoto via Getty Images). Bangladesh’s union leaders said on Tuesday (15) that some garment factories were assigning long-standing workers lower salary grades than they deserved to reduce the impact of a pay rise, after a week of violent protests in which one person was killed. The government and factory owners said they were unaware of the problem and would deal with any violations reported to them. 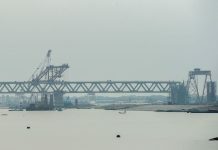 Workers in the crucial export industry had rejected the first wage hike since 2013 as insufficient, saying it would only benefit those in grade seven – the lowest grade jobs – in the latest challenge to Prime Minister Sheikh Hasina. “After the salaries increased, workers came to me and said that they were downgraded. 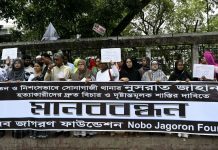 Some said that they were supposed to be in the fourth grade, but were put in the sixth,” said Amirul Haque Amin, head of the National Garment Workers Federation. “These are issues that we have to work hard to stop. We have talked about making our federations more active in noticing these anomalies and starting hotlines,” said Amin, who leads the country’s biggest garment sector federation. Bangladesh is the world’s second largest garment exporter and the industry employs 4 million people. The protests are a test for Hasina, who won a third straight term in a Dec. 30 election, marred by violence and allegations of rigging. The government said in September that the minimum wage for grade seven garment workers would increase by 51 per cent to 8,000 taka ($95) a month, payable in January. But unions said the pay rise promised to higher grade workers was much smaller. Protests led the government’s minimum wage board, set up last year, to increase the rise for higher salary grades – one to six – on Sunday. But labour leaders said many workers still would not benefit as they did not receive appointment letters when hired and never knew what grade they belonged to, meaning they could not secure their claims to higher grade jobs. 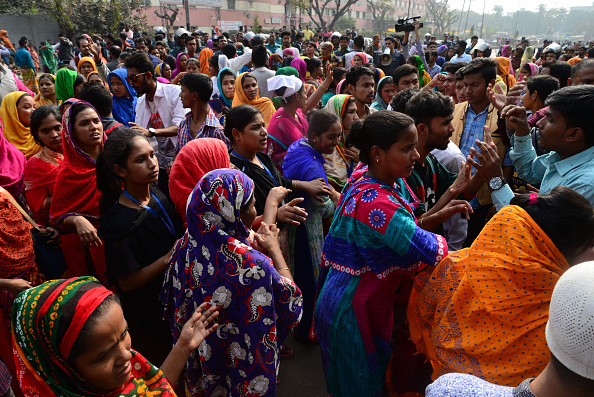 “I have met workers who have been in the industry for more than a decade but are still in grade six,” said Babul Akter, head of the Bangladesh Garment and Industrial Workers Federation. Labour leaders also said there were no clear criteria for promotion to a higher grade, an issue that they plan to raise with the authorities and factory owners. “After the basic salary problem is solved, we will work together with the government and the owners to find out the factories that aren’t giving (their) workers fair grades,” said Nazma Akter, head of Sommilito Garment Sramik Federation. Government authorities and factory owners called on union leaders to report any violations to them. “If there is something illegal taking place then the labour leaders should tell me about it. Be it the workers or the owners, I won’t accept anyone breaking the rules,” said Monnujan Sufian, State Minister for Labour and Employment. “If such a thing is indeed taking place, we have to solve the problem before it becomes worse. We have to finish it right at the start,” she told the Thomson Reuters Foundation. Siddiqur Rahman, president of the Bangladesh Garment Manufacturers and Exporters Association said that there was no scope for decreasing workers’ grades. “I don’t believe anybody has been downgraded. If (labour leaders) have proof then they can come to us. We will ensure that the new wage board is implemented properly,” he said.